ST REMY OGA MILLIONAIRE COMPETITION. WIN N1MILLION. The St-Rémy millionaire's competition has kicked off! 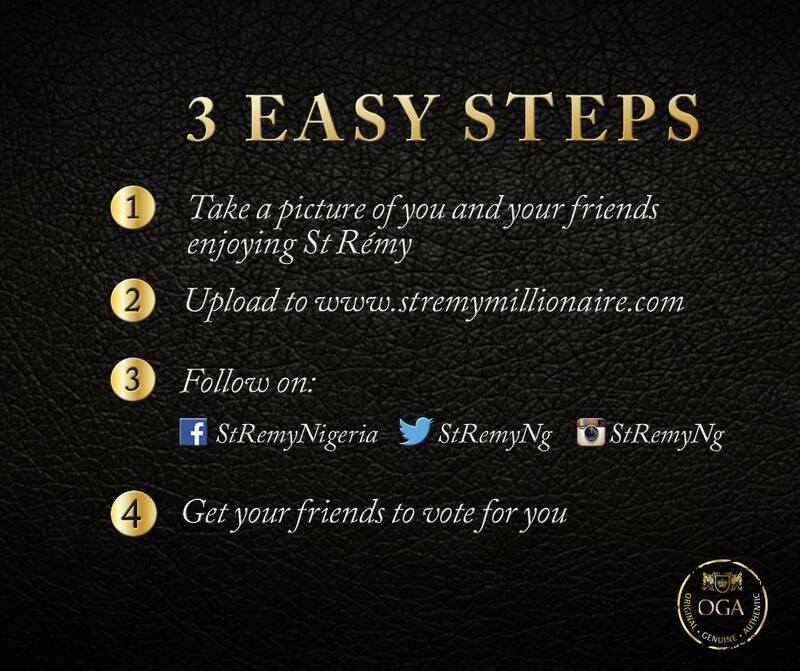 Upload a picture of yourself and a group of friends enjoying St- Rémy, and you could be an#OGAMillionaire.